I couldn’t help but imagine this evening what the next step of in-stadium advertising would be – particularly for advertising Social Media. 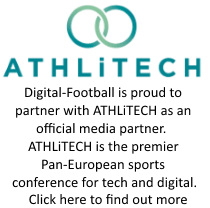 Already in 2011, Valencia put advertised their Twitteraccount on their kit, Fulham advertised their Social Media channels on their TV interview boards and a few clubs have even began to start thinking about improving stadium Wi-Fi connectivity – but is it enough? Football clubs often have huge communities on Social Media, and they have a wonderful platform to advertise for free in their own stadiums – yet so few actually do. So, whilst trying to figure out this problem I couldn’t help think – why not advertise on the pitch itself? Pitch advertising is rampant in Rugby and in some cases it’s already been done on the sidelines at European football stadiums – but no club is yet to use that “so watched” space to advertise their Social Media. Most likely footballing bodies such as the Premier League forbid brand advertising on the pitch, but what about on the sidelines – where the manager stands, where the subs warm up and ultimately where everyone in the stadium (and TV) can see? Club Twitter account handles should be finely cut into the sideline grass – not too much that it’s an eyesore, but enough so that fans in their seat are aware that such Social Media channels actually exist! Clubs need to grasp that the Social Media experience is as much offline as it is online – they need to leverage their assets to promote their Social presence to it’s fullest.